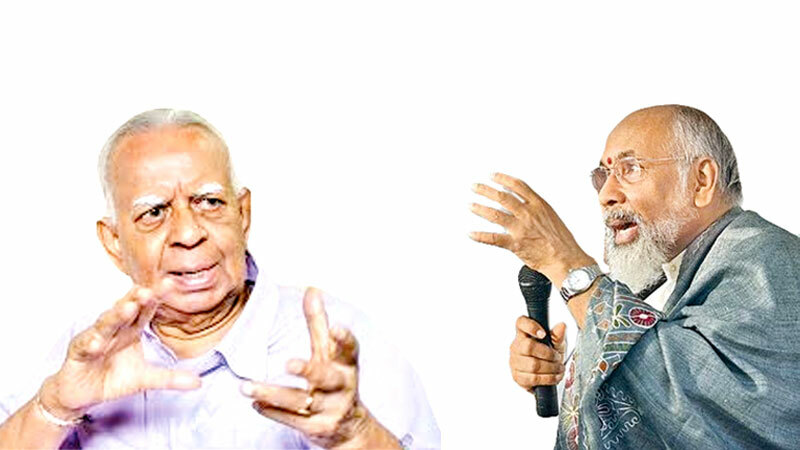 Opposition Leader R. Sampanthan slammed at his party stalwart, Northern Province Chief Minister C.V. Wigneswaran stating that the latter's conduct was being "carefully watched". "The unique opportunity the country has been given to solve the national issue should not be spoilt by taking rigid and strident postures," the Opposition Leader said, in an interview with the Daily News, lashing out at the conduct of the Northern Province Chief Minister. "Unduly, rigid and strident postures are not helpful. Any resolution has to be adopted by a two thirds majority in Parliament; it must be approved by the people at a referendum, which means in a constitutional resolution of the national question we should be able to carry along the majority of the people with us," Sampanthan said. Critical of the conduct of Wigneswaran, the Tamil National Alliance (TNA) leader highlighted that the people should be careful not to ruin the opportunity before the country by adopting hard line stances. He added that Wigneswaran, who was elected the Chief Minister of the Northern Province as the nominee of the TNA and as the Chief Ministerial candidate of the ITAK is bound by the policies of the party. "Policies of the TNA is enunciated in the TNA manifesto. It has been the same policy enunciated to the people at all elections; at national or provincial or local authority elections. It was on the basis of these policies that Mr. Wigneswaran became the Chief Minister." Speaking of the Tamil People's Alliance, the new group formed under Wigneswaran's leadership, Samapanthan highlighted that the politics presented by the individuals in the alliance have been rejected by the people at the last parliamentary election. "But unfortunately Mr. Wigneswaran seems to be entangled with political parties and policies which had been rejected by the people," he said. "We are prepared to listen to any one's views on a political solution. But unfortunately Mr. Wigneswaran seems to be entangled with political parties and policies which had been rejected by the people. This is not acceptable. Developments are being kept under observation. But we are strongly of the view that the people are sensible, and are solidly behind the Tamil National Alliance."